Once you have decided to protect your family with a sprinkler system, contact us for a free estimate. 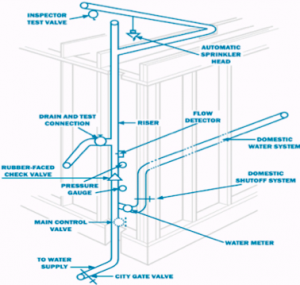 We will need to obtain a set of plans from you or your builder in order to provide an estimate and discuss any options that may be required; such as a pump & tank system if your home relies on a well for its water supply. After you have chosen Noel’s Fire Protection to protect your home with a sprinkler system, one of our area superintendents will contact the project manager to introduce himself and put together a tentative schedule to assure your home is completed in a timely manner. We work directly with the Fire Marshal during inspection to assure that all codes and regulations are adhered to and that your system is in proper working order. At your request, we will gladly explain the system to you and leave you with information for future reference.